Trump's businesses are showing a red-blue divide, the New York Times reports. Bookings are on the rise at Trump properties in the states that the president won, but revenue is declining in the states that Hillary Clinton took in November. 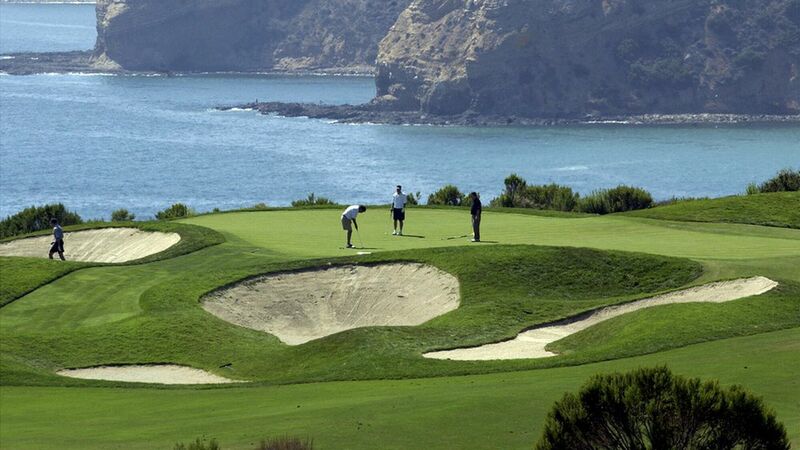 Take two Trump National Golf Clubs, one in Mooresville, North Carolina and the other in Los Angeles, California: Mooresville's "membership roster is nearly maxed out, and the private club is booking a record number of events," the Times reports. But in Los Angeles, the club saw "a double-digit drop in revenue from golf in the first six months of 2017 compared with a year earlier." Other places where Trump businesses are losing money include New York, Chicago, and New Jersey. Mar-a-Lago in Palm Beach has also seen a sea of high-profile cancellations after Trump's controversial Charlottesville remarks. Leaning into it: The Trump Organization has launched a line of budget-friendly hotels called 'American Idea' — a brand in line with Trump's "America First" campaign message. The first of these hotels will be built in Mississippi.